AffiliateWP is probably the best WordPress plugin for Affiliate Marketing available today. The integration between GeoDirectory and AffiliateWP will bring more traffic to your Directory because Affiliate Links will drastically improve your website’s SEO. More traffic will also increase your Directory’s value for advertisers, resulting in better conversions/sales. 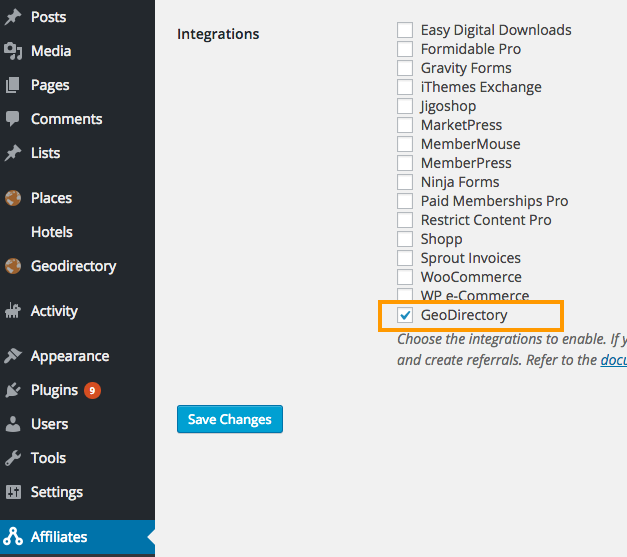 AffiliateWP integration requires both AffiliateWP plugin and Prices and Payments addon installed. AffiliateWP is a paid/premium plugin and you must have a copy f it in order to use the GeoDirectory integration. Download Geodir AffiliateWP Integration zip file.